Air Quality Carbon monoxide enters the body through the lungs. It attaches to red blood cells, preventing the cells from absorbing oxygen. In your Science Journal, explain why heaters and barbecues designed for outdoor use never should be used indoors. 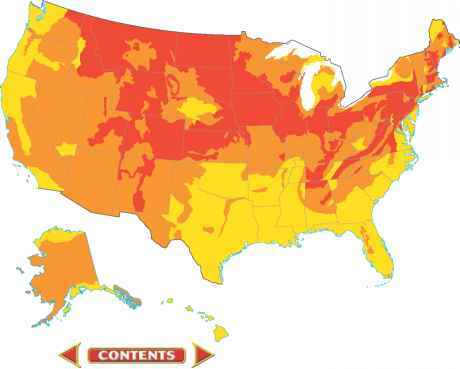 Figure 15 The map shows the potential for radon exposure in different parts of the United States. Identify the area of the country with soils that produce the most radon gas. Air pollution can occur indoors. Today's buildings are better insulated to conserve energy. However, better insulation reduces the flow of air into and out of a building, so air pollutants can build up indoors. For example, burning cigarettes release hazardous particles and gases into the air. Even non-smokers can suffer ill effects from secondhand cigarette smoke. As a result, smoking no longer is allowed in many public and private buildings. Paints, carpets, glues and adhesives, printers, and photocopy machines also give off dangerous gases, including formaldehyde. Like cigarette smoke, formaldehyde is a carcinogen, which means it can cause cancer. Carbon Monoxide Carbon monoxide (CO) is a poisonous gas that is produced whenever charcoal, natural gas, kerosene, or other fuels are burned. CO poisoning can cause serious illness or death. Fuel-burning stoves and heaters must be designed to prevent CO from building up indoors. CO is colorless and odorless, so it is difficult to detect. Alarms that provide warning of a dangerous buildup of CO are being used in more and more homes. Radon Radon is a naturally occurring, radioactive gas that is given off by some types of rock and soil, as shown in Figure 15. Radon has no color or odor. It can seep into basements and the lower floors of buildings. Radon exposure is the second leading cause of lung cancer in this country. A radon detector sounds an alarm when levels of the gas in indoor air become too high. If radon is present, increasing a building's ventilation can eliminate any damaging effects. lots, it can wash oil and grease onto and fertilizers into lakes, streams, or times released directly into the soil and into nearby streams. oceans. surface waters. Pollutants enter water, too. Air pollutants can drift into water or be washed out of the sky by rain. 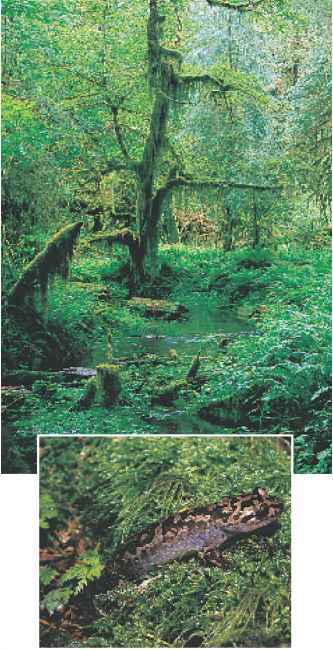 Rain can wash land pollutants into waterways, as shown in Figure 16. Wastewater from factories and sewage-treatment plants often is released into waterways. In the United States and many other countries, laws require that wastewater be treated to remove pollutants before it is released. But, in many parts of the world, wastewater treatment is not always possible. Pollution also enters water when people dump litter or waste materials into rivers, lakes, and oceans. Surface Water Some water pollutants poison fish and other wildlife, and can be harmful to people who swim in or drink the water. For example, chemical pesticides sprayed on farmland can wash into lakes and streams. These chemicals can harm the insects that fish, turtles, or frogs rely on for food. Shortages of food can lead to deaths among water-dwelling animals. Some pollutants, especially those containing mercury and other metals, can build up in the tissues of fish. Eating contaminated fish and shellfish can transfer these metals to people, birds, and other animals. In some areas, people are advised not to eat fish or shellfish taken from polluted waterways. Algal blooms are another water pollution problem. Raw sewage and excess fertilizer contain large amounts of nitrogen. If they are washed into a lake or pond, they can cause the rapid growth of algae. When the algae die, they are decomposed by huge numbers of bacteria that use up much of the oxygen in the water. Fish and other organisms can die from a lack of oxygen in the water. Figure 16 Pollution of surface waters can occur in several ways, as shown above.